Danish Export Companies were early Pioneers of Globalization long before the term "globalization" was invented and introduced! Thanks to a considerable range of innovative export companies and corporations that create economic growth - as well as a well educated and flexible working force - the Danes have a high standard of living than most other countries. 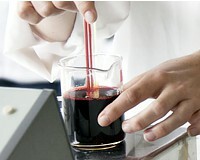 The Danish export companies are geared to compete on global markets with high technology products - and advanced engineering solutions - as well as food - beverages - tobacco supplies - plus agricultural products - Danish design - furniture - handicrafts and architecture - medical and pharmaceutical goods - processing plants and productions lines - alternative energy systems - shipping - offshore services - turnkey solutions - and more than 800,000 people are employed in the export sector giving the Danish state billions in export revenues - as well as creating thousand of specialised jobs. The furniture industry in Denmark counts almost 400 companies - producing furniture for more than DKK 16 billion. The different types of furniture is targeted and sold to the global export markets. The Danish furniture industry employs over 15,000 - and the combination of advanced technology - high professional design and expertise makes the sector highly productive with desirable furniture products like this sofa group from Hay. FLSmidth is the world's leading supplier of cement plants and technology to global cement producers - and offers everything from plant design and project management - as well as commissioning - training and after market service and support. There are almost 2000 engineering companies in Denmark offering and exporting high technology - advanced know-how - plus cutting edge engineering services to the overseas markets world wide. The yearly export revenues contribute to fund the heavy central administration and public sector - as the private and public sectors nearly share the labour market with equal employees. As Denmark is lacking of raw materials - other than agriculture - as well as oil and natural gas - Danish exporters has for over a century continuously developed and shaped their industrial products and services - and directed them towards existing and new targeted export markets - offering and supplying advance technology - sophisticated knowhow - foodstuffs and agricultural products - pharmaceuticals and medical devices plus operational services - technical solutions and turnkey enterprises - which make Danish exporters the locomotives that continuously create the economic growth and welfare in Denmark. Each Danish export company has an annual turn-over that reaches tremendous billions - as each Danish exporter is strongly well established and represented on world markets - mainly based on the export of superior food and beverages - high quality and state of the art technology - technological know-how - high-end services and products - industrial plants and processing lines - Danish design - innovative energy systems - turnkey solutions - plug and play productions facilities etc. Some of the world's leading and biggest Exporters are Danish! 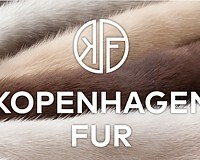 Kopenhagen Fur - is the world’s largest fur skin auction house and the center of the international fur trade. 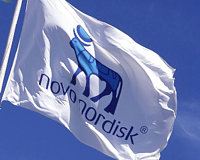 The Novo Group - is the world’s largest insulin supplier and a international leader in diabetes and healthcare. The A.P. 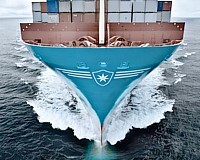 Moller-Maersk Group - is the world’s largest container ship operator - with the biggest container ships in the world. 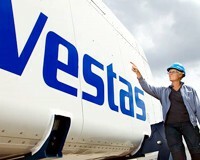 Vestas - is the world’s largest supplier of wind power solutions that offers the biggest wind turbines in the wind power industry - plus a comprehensive research and development unit. 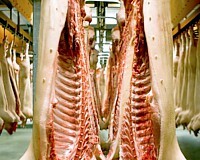 Danish Crown - is the world's largest meat exporter - and the biggest meat processing company in Europe - producing quality pork and beef products. 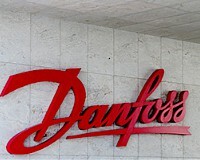 Danfoss is an international group and a world leader in research - development and production of refrigeration - heating and motion controls plus a global trendsetter. 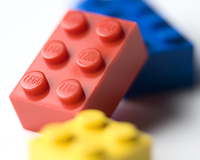 The Lego Group is a global enterprise and the world’s largest manufactures of toys - that are branded and sold in more than 130 countries. Lego is based in Jutland. 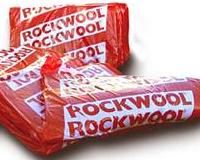 The Rockwool Group is the world's leading producer of stone wool for insulation of buildings all over the globe and operates with 23 factories in three continents. The Arla Group is one of the largest dairy manufactures in Europe with subsidiaries in 23 countries world wide and develops over 200 new products every year. Carlsberg - "Probably the Best Beer in the World" - with 43.000 employees in 150 difference markets - and the world’s fourth largest brewery group. Lundbeck Pharma A/S is a global pharmaceutical company engaged in research - production and sale of drugs for psychiatric and neurological disorders. Hempel A/S is a world wide developer - producer and supplier of paint related solutions for the Marine - Protective - Container - Decorative and Yacht markets. 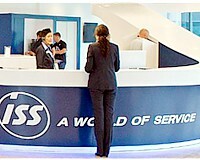 ISS - A World of Services with more than 480,000 employees - and present in 53 countries all over the globe - providing a range of broad-based services. Oticon is an international hearing aid manufacturer providing hearing instruments for hearing impaired people world wide. The history of Oticon spans over 100 years. 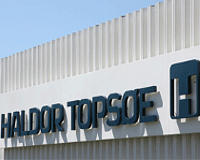 Haldor Topsoe’s commitment to catalysis has created a strong international business - from catalysts to proprietary equipment - process design and engineering. Chr. Hansen develop natural ingredient solutions for the food - pharmaceutical - nutritional and agricultural industries - and is one of the world leaders in bioscience technology and products with a global market position. 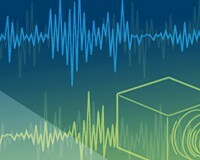 Brüel & Kjær is a world leading manufacturer and supplier of sound and vibration test and measurement solutions. The company’s core technology assists countless industries and governments worldwide. 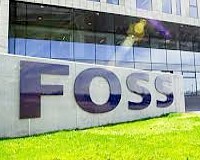 FOSS develops and produces analytical instruments that improve customer’s production efficiency - product quality and profitability - and is a world leading provider of dedicated analytical solutions to major global industries. Bringing light to life. Velux develops - produces and exports roof windows - modular skylights - plus decorative elements - blind roller shutters - installation solutions and remote controls. 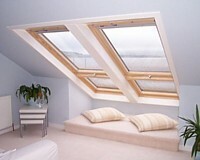 And the Velux philosophy is the passion for daylight - fresh air and better living environments. NKT high-end cables & cable solutions develop - manufacture and export high quality cables - accessories and solutions for electrical infrastructure - the construction field and railway industries. 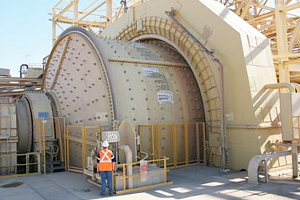 NKT is a global front-line highly technological supplier to the Global energy sector. 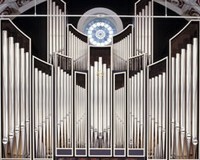 Marcussen & Søn are pioneers in developing - manufacturing and exporting church organs to countries world-wide - which reflect the creation and romantic ideals of sound in the music and organ building traditions that have characterized the Marcussen Organs for generations. Agriculture - High Technology - Shipping - Energy - Health Care etc. Not only are the Danish export companies world leaders in their line of business but also major exporters on a global scale like international corporations as (in random order) The Arla Group - Danish Crown - Kopenhagen Fur - Carlsberg Breweries - Scandinavian Tobacco Company - The A.P. 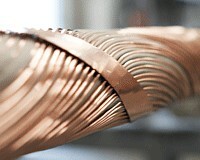 Moller–Maersk Group - Novo Nordisk - Danfoss – Grundfos - Pandora A/S - Vestas Wind Systems - F.L. Smith - Hempel - The Rockwool Group - Chr. Hansen - H. Lundbeck A/S - Bang & Olufsen - Coloplast - Ørsted A/S - Lego - The VKR Group - SAS Group (Scandinavian Airlines) - Foss - Toms A/S - Oticon - Jysk A/S - Radiometer - Marcussen & Søn A/S - ISS Group - Haldor Topsøe - Brüel & Kjær - NKT Holding - DSV A/S etc. 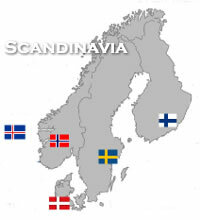 - who all have been actively present on the expanding export markets for numerous decades - and some Danish companies has been active on international markets for more than a century - as all of these Danish exporters also became the early and dynamic pioneers of globalization - and long before the term was invented and introduced. Especially in the energy sector - Denmark has since the late 1990’s - been a leading exporter of Fossil Energy by the A.P. Moller-Maersk Group - and Danish exporters like Vestas Wind Systems plus the largest offshore wind farm company in the world Østed A/S are today major actors on the energy scene - and has a considerable per cent of the world market share in Wind Power technology and Wind Energy solutions. Maersk Oil & Gas A/S is part of A.P. 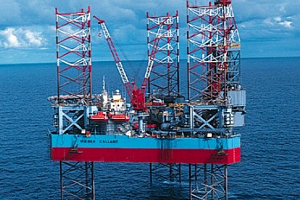 Moller-Maersk Group and has a concession for exploiting oil and gas in the Danish North Sea until the year the 2042. Maersk Oil & Gas A / S is the biggest oil and gas operator in Denmark - and produce about 95% of the Danish gas supply and 85% of the Danish oil production. NOVI is one of Denmark’s largest Science Parks of seven. 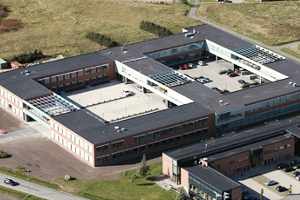 At its unique location right next to Aalborg University - NOVI accommodates close to 100 companies - mainly in the area of high tech - ICT and medical technology. NOVI Innovation offers the entrepreneur a package of services to ease the transformation of the idea into a business. The total export revenue represents over 70% of Denmark’s gross national product (GNP) - and the Danish government - politicians - as well as the central administration are really spoilt and very lucky to have such motivated risk taking export companies that are innovative frontrunners and locomotives - and the sole benefactors and creators of the Danish welfare system - plus contribute to the high quality of life - together with a pleasant and satisfying high standard of living. And Apropos! 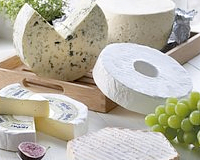 - The Danes are certainly quite proud of their export companies and their products! Denmark has and offers a generously financed business climate - with a modern infrastructure - a highly educated and flexible labour force - plus low corporate tax rates - which provides companies from abroad with the best from both worlds to select a suitable venue for their business operations - activities - and a positive return on investment. Copenhagen Airport - is the largest and main international airport in the Nordic Countries - with a global network of services to the rest of the world. The bronze sculpture "Girls at the Airport" is a well-known symbol before departing Copenhagen Airport. Attractive Business Environment & the most satisfied employees in Europe! Denmark welcomes new investors and businesses - and with its perfect location right in the centre between the lucrative and nearby Scandinavian and European markets - companies also have access to all of the attractive world markets via Denmark - and has the same beneficial conditions offered to all of the successful Danish export corporations targeting opportunities in a globalized world. Numerous Danish export companies are over 100 years old - and benefit by means of a comprehensive goodwill and reputation established through generations to overseas business relations - customers and selected market segments - which is deeply rooted in Danish business culture and core company values. Denmark’s has Seven government appointed Science Parks and Innovative Incubators - whose purpose is to transform ideas - inventions or research results into commercial businesses. The emphasis is made on the strengthening of technology transfer and cooperation between public research institutes and the private sector - as well as on the stimulating of the commercialization of research results. The Ministry of Science - Technology and Innovation is the main government department responsible for the innovation policy and Science Parks. Denmark - one of the least corrupt countries in the world! Denmark is ranked once again - as one of the least corrupt countries in the world - and can proudly step on top of the trustworthy victory podium - together with all the other Scandinavian Countries. Denmark is once again ranked - with the enviable trustworthy trophy - at the entire top of the victory podium - as one of the least corrupt countries in the world on Transparency Internationals Corruption Perceptions Index - which designates perceived corruption in all sectors - and the Danes are very proud of living in a country that is “still going strong” by being declared and crowned as one of least corrupt nations in the whole wide world - which are fundamentally - traditionally and mentality: The Core Danish Values - based on mutual trust and confidence with one another! And all of the Scandinavian Countries are also among the least corrupt countries in the world - and can proudly step on top of the trustworthy victory podium together with Denmark. The LT logo from 1938 - and the present LT logo unchanged. Two Great Danes and visionary Civil Engineers Henning Holck-Larsen (4.7.1907 - 27.7.2003) born in Copenhagen and died in (Bombay) Mumbai - India - and Søren Kristian Toubro (27.02.1906 - 4.3.1982) born and died in Copenhagen - brought “Know-How” - as well as High Technology to India and founded in 1938 - the Danish Engineering and Construction Conglomerate Larsen & Toubro Limited (L&T) in (Bombay) Mumbai - India - and created a multi-billion dollar company from scratch. Today the Larsen & Toubro Group is a multi-industry conglomerate in India with a global presence in over 30 countries and more than 50,000 employees. The two Danish pioneers and creative entrepreneurs - Henning Holck-Larsen and Søren Kristian Toubro created thousands of jobs and development that has ever since reflected on millions of citizens in India and brought tremendous prosperity and welfare to the country. This business success from 1938 - is the story of globalization in full scale - and true effective and economic expansion to undeveloped countries in the Third World - which was truly influenced by two great Danes - even before the word “globalization” was invented or practised on The Tropic line of Cancer passing through India. India owes grateful thoughts and honourable remembrances to these two Great Danes for creating prosperity and thousands and thousands of precious jobs and workplaces - which still enormously benefits the entire nation of India. And that’s Danish Export Adventure in a Global nutshell - supported strongly by Danish corporate culture and business mentality. Yes - India certainly owes grateful thoughts and honourable remembrances to these two Great Danes! 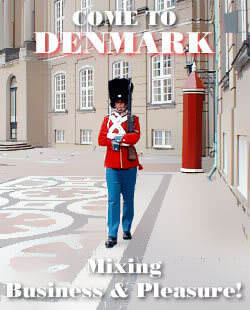 This Danish Exporters Site will be updated regularly!